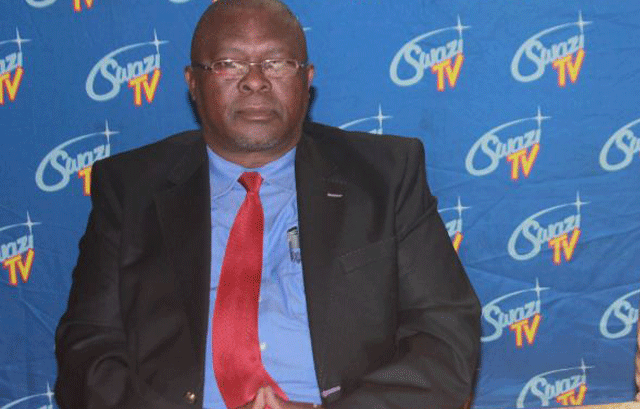 BONGANI ‘Sgcokosiyancinca’ Dlamini, the re-engaged Chief Executive Officer (CEO) of Eswatini TV (formerly Swazi TV), whose return was announced with much pomp and fanfare on Tuesday, has not yet assumed his position at the national television station. Dlamini’s sensational return to the public broadcaster, which he left in December last year, was announced by the chairperson of the Board of Directors, Carol Ngcobo, during a press conference held on Tuesday at Sibane hotel in the presence of other board members and a few managers. Ngcobo said Dlamini’s re-engagement was with immediate effect and would run for a period of three years. However, ‘immediate effect’ has turned out to be not so immediate because, ideally, yesterday was supposed to be Dlamini’s first day in the hot seat following his re-engagement. When a call was put through to his office at Hospital Hill yesterday afternoon, the personal assistant (PA) said Dlamini had not yet resumed his duties. She first asked who this reporter wanted to talk to, specifically. “Ufuna bani? Ufuna Dlamini?” she asked. When this reported responded to the affirmative, she said Dlamini had not yet assumed office. “Usengekho Dlamini but we currently have an acting CEO,” she said. When asked when Dlamini would be available, she said she was not sure. It later turned out that Mncedzisi Mayisela is still the acting CEO at the station and this was confirmed by the PA.
She said whatever questions this journalist wanted to ask should be directed to Mayisela. However, Mayisela was also not present in office at the time the call was made yesterday. Mayisela’s substantive position is Head of Human Resources. Mayisela started acting in the position of CEO on July 1, 2018 following the expiry of the contract of the then acting CEO, Vusigama Khumalo, on June 30. ‘Sgcoko’ was not reachable on his mobile phone for the better part of yesterday, since morning. Interestingly, the SBIS news crew had also scheduled to feature him in their morning news and current affairs show, dubbed ‘Letishisako’ yesterday. However, they also could not reach him. Programme host Thandiswa Ginindza told her listeners that she was having difficulty finding Dlamini and requested anyone who could happen to see him to ask him to call-in at the show. The show ended at 8am without Dlamini being featured. Board chairperson Carol Ngcobo, when making the announcement on Tuesday, said they had decided to re-engage Dlamini because of his wealth of experience in the broadcasting industry. “Mr. Dlamini’s re-engagement is with immediate effect and shall be for a period of three years. He is not new to the task and, therefore, brings with him valuable and pragmatic experience to Eswatini Television Authority,” she said. Ngcobo was again called yesterday, in an attempt to have her shed light on Sgcoko’s supposed return to the television station with ‘immediate effect’ and her PA said she was on another line and would call back. She never did.